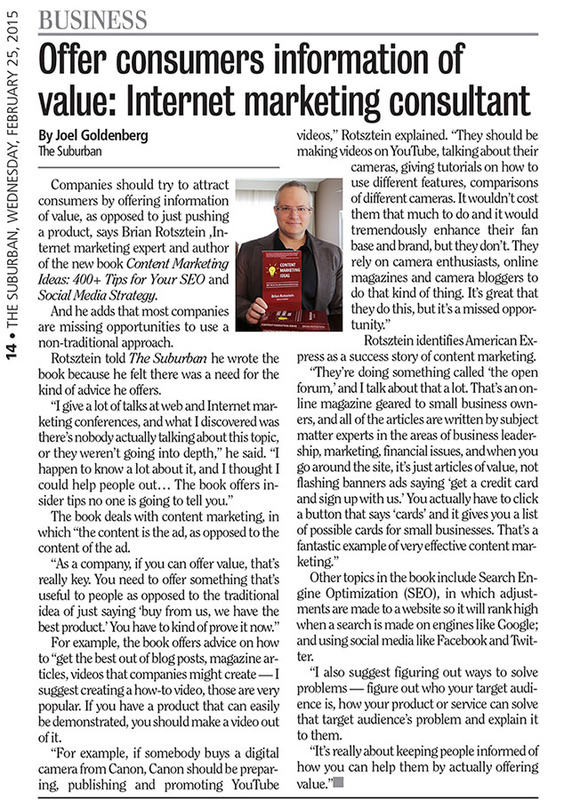 Read the praise and reviews for Content Marketing Ideas from official press media here. 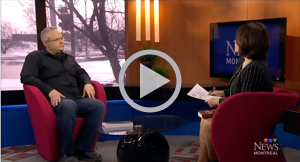 Brian Rotsztein’s book gets featured in The Suburban. 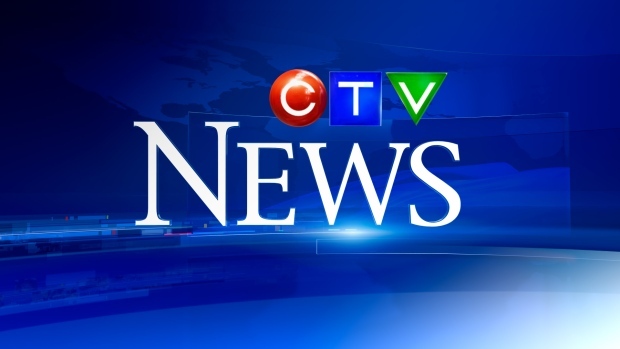 Brian Rotsztein speaks on CTV with Mutsumi Takahashi about solving problems and delivering value to potential customers through content marketing. Watch the video here! There are three problems you’ll find with most marketing books nowadays. First, they are often stretched. While starting of with some bit of substance, it is eventually spread across too many pages so thinly that you would have been better served if it were a blog post instead of a book. 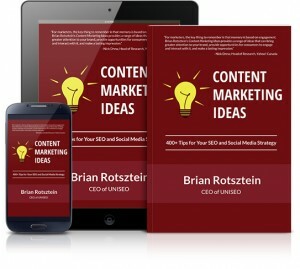 Brian Rotsztein’s new book, Content Marketing Ideas: 400+ Tips for Your SEO and Social Media Strategy, brims with insights and ideas—and quite a few of them are now on my list for further thought or testing. What happens when the old ways of shouting “Buy! Buy! Buy!” at prospects doesn’t work anymore? How are you supposed to sell your products and services? If traditional advertising no longer brings in the big bucks like it once did and you’re left scratching your head, wondering how to reach your target market, you need to continue reading.